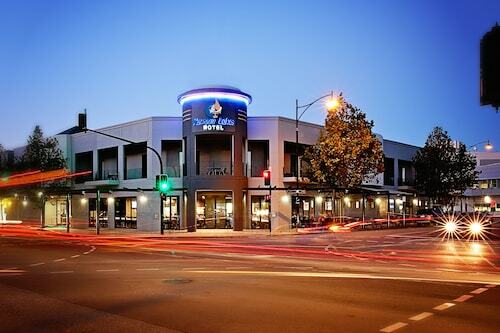 Situated in Mitchell Park, this hotel is within 3 mi (5 km) of Westfield Marion Shopping Centre, SA Aquatic and Leisure Centre, and Flinders University. Brighton Beach and Glenelg Beach are also within 6 mi (10 km). Adelaide Marion Station is 12 minutes by foot and Marion Station is 13 minutes. When you and your family are checking out the state of South Australia, get to its capital, Adelaide. Positioned 10 kilometres south of the centre of the city, you will find the popular area of Mitchell Park. Those that are looking for lots to do in Adelaide will be excited to learn about all its attractions, like the Victoria Square, Government House and Rundle Mall. Check out Flinders University, a fascinating, modern establishment that encourages travellers on occasion. The Tonsley Hotel and Marion Hotel are handy if you'd like to kick your heels up close by. If you're the kind of person who likes to stay active while holidaying, go swimming at SA Aquatic and Leisure Centre. If this attraction is more your thing, try the Norfolk Motor Inn and Esplanade Hotel. After a refreshing sleep, step outside and follow the scent of roasting coffee beans to Oporto - Marion Westfield Food Court. This beloved Mitchell Park cafe offers all the scrumptious cakes and hot beverages you could need. Tonsley Hotel is a recommended dining option here. With a range of eye-catching menu items, you may want to allow some time for a return visit. 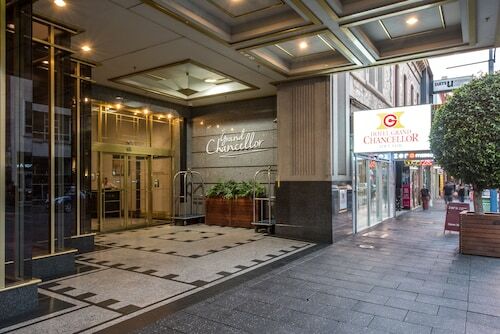 Having trouble securing the ideal Mitchell Park hotel deal? It's worth researching the accommodations in the Bedford Park hotels guide and the Wotif Glengowrie hotels guide. There's no shortage of terrific places to stay in and around Mitchell Park. So whether it's just a place to stay, or flights, car hire and activities too, Wotif has you covered! How Much is a Hotel Room in Mitchell Park? 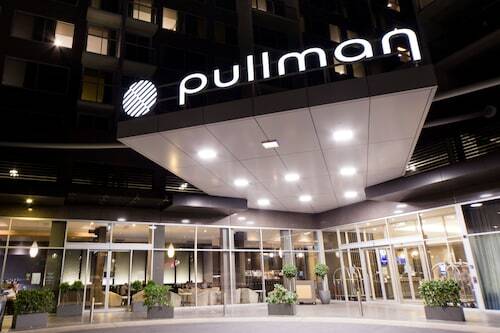 Hotels in Mitchell Park start at AU$75 per night. Prices and availability subject to change. Additional terms may apply.